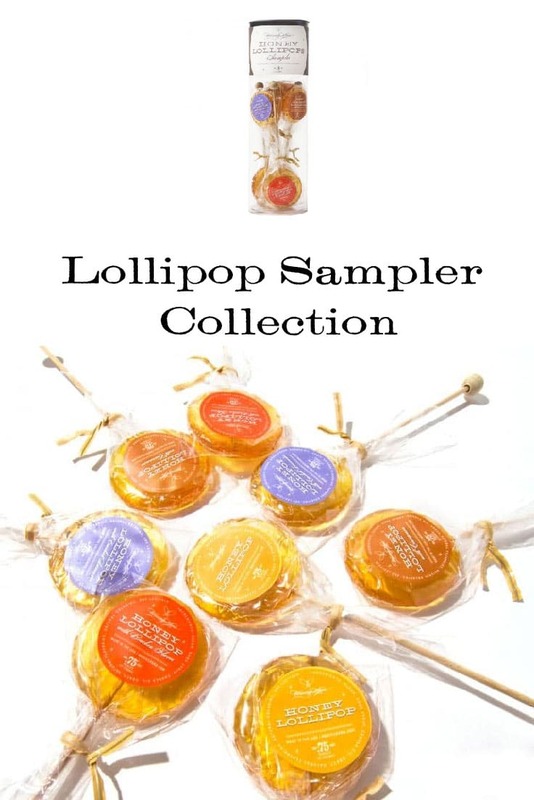 This Lollipop Sampler is a great way to stock up and try out our favorite handmade Honey Lollipops. 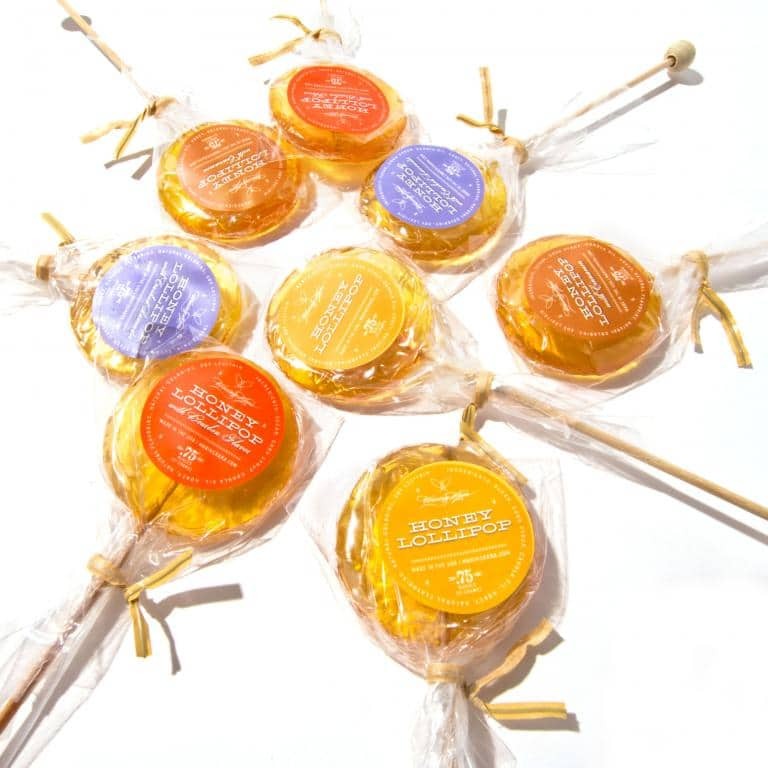 Features two each of our Original Honey, Cinnamon, Bourbon, and Lavender Lollipops for you to enjoy. Earn 30 Points when you purchase this item! Honey Lollipops make a great quick gift for anyone-and are the perfect treat for yourself, too. 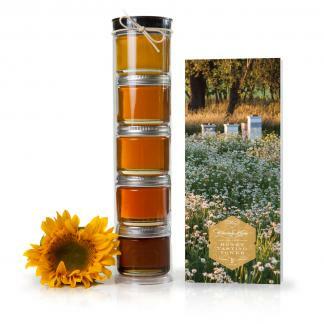 Our Honey Lollipop Sampler Collection features all of our favorite sweet treats packed into one grab-and-go package. 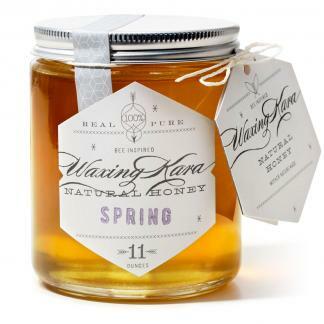 Made with real honey and natural flavorings to suit any taste. A great way to soothe sore throats and sweeten your cup of tea without making a mess! Picking up this collection makes it easy to find your favorite flavor lollipop. Cinnamon and Bourbon are great warm flavors that are perfectly suited to spicing up a cup of tea. If you’re in need of something soothing, Lavender lollipops are perfect for you! Our Original lollipop is perfect for everyone-it soothes sore throats and brightens your cup of brew without added flavors or spices. My sister sent me these and I have been slowly enjoying them as afternoon snacks. They were great. Yummy way to eat honey on the go. Hooray for samplers! We simply couldn’t decide which flavor we wanted to try, so the sampler pack was the perfect solution. It still is… we liked them all- so picking one flavor still won’t work. The Sampler Collection was fantastic for holiday gifts – my 17 year old daughter gave packs to a couple of her friends, and to her voice teacher (who loved them!) Of course, I saved one pack to surprise my daughter, and she loved it, too! This is WONDERFUL Sharon! Thank you for sharing. Purchased for my wife as a gift. She liked the variety of flavors. This holiday season we bought Sampler Collections to give as gifts for some of my husband’s work colleagues – and the Samplers were a big hit!